The students are required to fill in the correct form of verb. A practice worksheet I gave my students. Have a nice day and thank you. 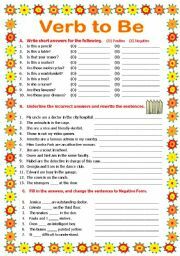 Beside writing the answer I also used this worksheet to teach new vocab. 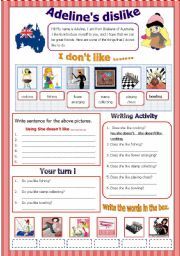 in the writing activity students have to fill in the new vocab and negative answers. This worksheet has three exercises. Part A write short answers for both positive and negative. Part B find the mistakes and rewrite the sentences. 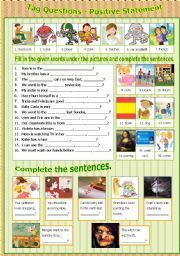 Part C Fill in the verb to be and change to negative sentences. Another exercise I gave my class for revision, hope you find it useful. Thanks and regards. Another worksheet I prepared for my class. There are 3 exercises Part A fill in the missing numbers. Part B unscramble the words fill in both numbers and words. Part C fill in the missing words. I hope you find it useful. Thanks and have a nice day. The size exceed the limit so I have to upload in two parts. Sorry about that. 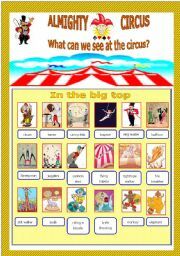 Part I - Are the activities that took place in a circus. I used this to teach the new vocab. You might need Part I as reference for writing in Part II, so that the students know what is going on. I used this ws to teach DO question. It has both writing and matching activity. 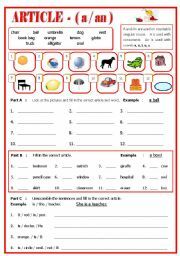 I also used this worksheet to teach new vocab. The grammar focus is on Does question: Does she like scuba diving? 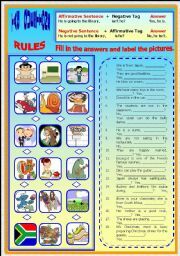 This worksheet consists of answering activities, students have to look at the pictures and answer according. (Is it a dog? Yes, it is. It is a dog) and vice versa. Hope you find the worksheet useful. Have a nice day to all. 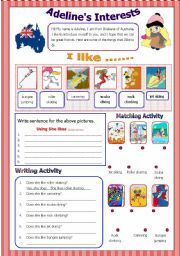 This ws is on Adeline�s dislike, it has writing and matching activity. Students are required to write DOES in negative form. 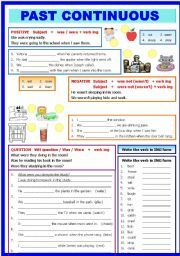 I used this ws to practice Do and Does questions.